Introducing – Tony Williams Dance Center @ Academy of Creative Arts. TWDC of Jamaica Plain is known for Urban Nutcracker. We are proud to boast one of the most diverse class offerings, faculty, student and parent populations in the Greater Boston Area. 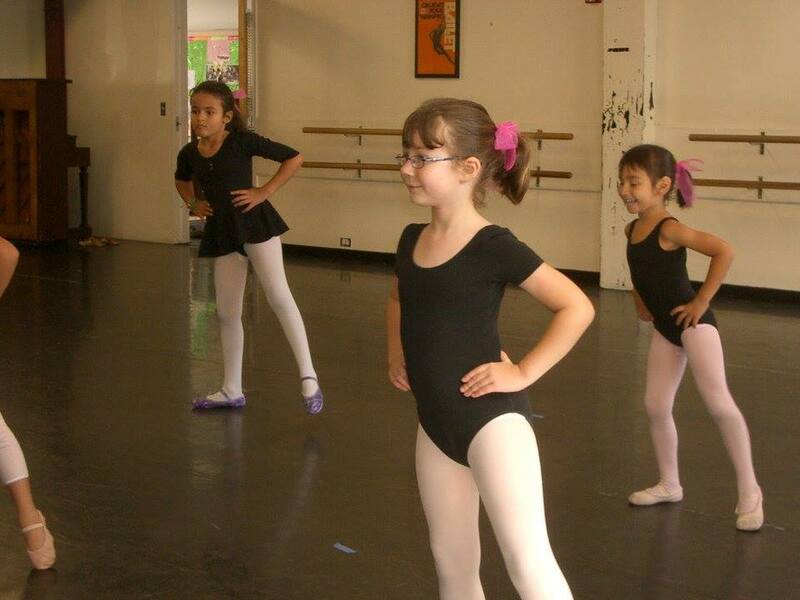 We offer a graded ballet program, with many performance opportunities and a yearly recital. We also provide authentic instruction in Ballet, Hip-Hop, Salsa, Modern, Lyrical, Flamenco, Modern, Jazz and Rhythm Tap, for children and adults. Tony Williams is a dance pioneer and retired international ballet star. Tony Williams, a charter member and former principal dancer of the Boston Ballet. His career continued with the Joffrey Ballet, Royal Winnipeg Ballet, the National Ballet of Portugal, and the Norwegian National Ballet. He returned to his native Jamaica Plain to open a dance school and produce the popular Urban Nutcracker. In 2015, he founded the Tony Williams Ballet – a racially diverse company that is reflective of the changing diversity of Boston. Widely respected as a progressive dance educator, Williams has won the Dance Teacher Magazine Award and Wheelock Family Theater’s Wheel Award. The foundation of all dance forms, ballet takes the student into the world of classical music and teaches discipline, and grace for all dancers. Technique-based training is offered from a young level, teaching correct placement and knowledge of the body as a fine-tuned instrument. We offer a rigorous, graded program beginning with Ballet A-E. Dancers are advanced through the program by skill attainment and age until level E when skill becomes the basis for advancement. At this time dancers are split into 4-5 groups: Intermediate Ballet I, II or IIor Advanced Ballet I or II. Pre-pointe begins in Intermediate Ballet I & II. Children who are not prepared for pointe by that level may wish to be considered for Honors Intermediate Ballet which is a supplement off-pointe that is necessary to the curriculum level. Additionally we have once weekly classes for beginners of all ages or those wishing to become stronger dancers of other disciplines, please see Recreational Ballet/Jazz Combo. It is anticipated that your child will take each level of dance form Ballet C on for 2-3 years each. Ballet is about REPETITION and learning technique not until understood, but until mastered. It is unprofessional to advance children based on age rather than technique or whether they would like to be with their friends or other peers. Advancing children in ballet too quickly can cause injury, and our trained staff have placed your child at the appropriate level for a reason. Please see the syllabus for more questions. *You may wish to take one or all classes of Ballet offered at your age level. At the Int. Ballet I level all classes are twice per week, mandatory including your required supplement (see ballet syllabus for your level). At the Int. Ballet III, Advanced Ballet I and II levels class is mandatory three times per week, plus your additional supplement, plus pointe. These are all 100% required. Those wishing to consider ballet less seriously may remain in our graded Ballet program A-E and/or attend our Recreational Ballet/Jazz Combo classes. No exceptions except those taking Honors Ballet or Boys Ballet as a supplement. **Please contact the TWDC office dustintwdc@gmail.com for placement for children ages 7 and above. Ages 3-6 will remain in Ballet A or B based on age exclusively. ***Dancers in Int. Ballet I and beyond are required to take their additional class supplement each year. Those classes include: Conditioning, Modern, Lyrical, Variations, etc depending on the year and those classes are purposely schedule around your child’s ballet classes. If you have any questions please contact Dustin at dustintwdc@gmail.com for the appropriate class for your child AFTER you’ve checked the Ballet Syllabus on another page of this website. A stylized form of American dance using many rhythms to coordinate and strengthen the body. Various styles include musical theater, traditional, funky, and hip hop. We strive to incorporate the styles of such greats as Jack Cole, Matt Mattox, Gus Giordano, Luigi and more. *All students in jazz E or above must also be enrolled in a ballet class. Erie, PA under the direction of Tauna Hunter. She has also danced and trained with such organizations as Lake Erie Ballet, Atlanta Ballet, Boston Ballet SDP, the Nutmeg Conservatory for the Arts, and the International Flamenco Festival. Amanda worked for 9 seasons with the Chattanooga Ballet, in Chattanooga, TN, where she was a Principal Dancer and Senior Instructor. While there, she was the 2006 recipient of the Tennessee Arts Commission Fellowship for artistic excellence in dance performance. She has also been a Guest Artist for several companies in the Southeast and taught Master Classes at various schools and summer intensives. During her training and career, she has danced principal and soloist roles in many ballets, including Coppelia, Les Sylphides, Giselle, Pas de Quatre, Swan Lake, Serenade, Dracula, Firebird, Paquita, and The Nutcracker, as well as in commissioned works in Ballet, Modern, and Jazz. Amanda has just completed her M.A. in Dance/Movement Therapy and Mental Health Counseling at Lesley University in Cambridge, MA. She currently teaches in the Boston area at Tony Williams Dance Center and Center Stage Dance Studio.